Credit Oneida Co. Sheriff's Dept. 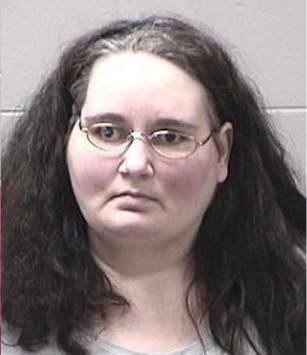 An Eagle River woman arrested after an incident last summer at the Marshfield Clinic in Minocqua has died of apparent natural causes in Wausau. The Oneida County Sheriff's Department reports 39 Jillian Buza died Wednesday. Buza was an inmate at the Oneida County Jail and officials report she had been hospitalized for health-related issues on several occasions. The department press release indicated her death is believed to be from natural causes. Court records indicate Buza had an appointment at the Marshfield Clinic pain clinic in Minocqua last June. She attended the appointment with her ex-husband Joseph Buza also of Eagle River. The couple became upset when told they needed to reschedule. The Buzas allegedly held the practitioner hostage while holding a hatchet and meat tenderizer and duct-taping the door shut. The Oneida County Medical Examiner's office is completing the investigation into Jillian Buza's death.